According to NFPA #10, portable extinguishers must be inspected and tagged on an annual basis. 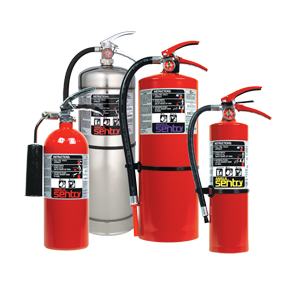 Every 6 years, stored-pressure fire extinguishers must be subjected to a full internal inspection. This procedure includes removing and replacing the fire-extinguishing agent as well as the valve assembly to ensure the seal remains closed. **All repair work and hydrostatic testing is done in our DOT certified maintenance shop by NAFED Certified employees.